What are your kid’s favourite Disney movies, games, and books? I’m sure there are so many to mention. Do you want to access Disney online games, download Disney games and e-books? Definitely, yes! The announcing of the press launch a few weeks ago revealed a compelling partnership of the leading telecommunications and multimedia provider PLDT partnership with The Walt Disney Company Southeast Asia through its digital entertainment arm Disney interactive. Just like million fans of Disney worldwide, my family is a fan of Disney. 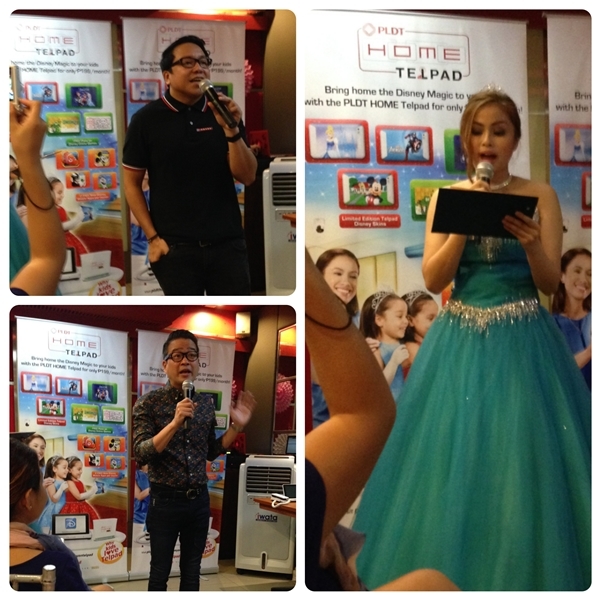 As a PLDT home subscriber, I am very much excited with the PLDT Home and Disney Partnership. My little princess and I were very happy as we discovered the partnership during the press launch last March 15, 2015 at Cravings, Edsa Shangri-La. Through the partnership of PLDT Group with Disney, it allowed its various units such as PLDT HOME and Smart to deliver Disney content to their subscribers including TV shows, movies, mobile games, e-books, and value-added services (VAS). It will surely bring the broadest offering of exciting Disney content to the PLDT Group’s over 75 million mobile and broadband subscribers nationwide. The kids arrived in prince/princesses costume at the event graced by Princess Cath. We spotted the balloon twist master who made a couple of balloon twist Disney characters and objects that looked so magical in the eyes of the kids and kids at heart. 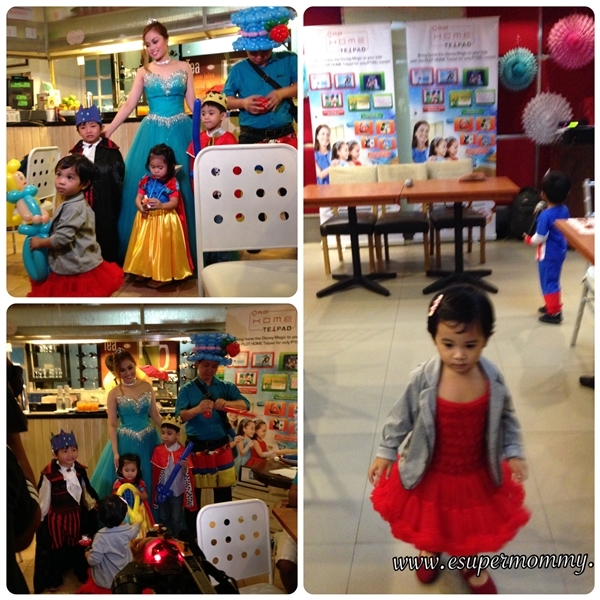 My daughter in red dress had a cute balloon twist Princess Anna of Frozen. Now your family can enjoy Disney on your PLDT HOME Telpad. Disney on Telpad is available on high speed HOME DSL Plans 999 and up and all HOME Fibr Plans. Just add as low as P99 to your PLDT HOME Telpad Plan to upgrade to Telpad’s Disney Premium Package Plan. Or, just add P199 to that premium package to upgrade to Disney Premium Package Plan + Speed Boost. The all-new Disney Telpad comes with a freebie of 1 limited edition Disney skin, premium pass for 1 month on Disney PC games, and two free games. This will truly complete your Disney experience! 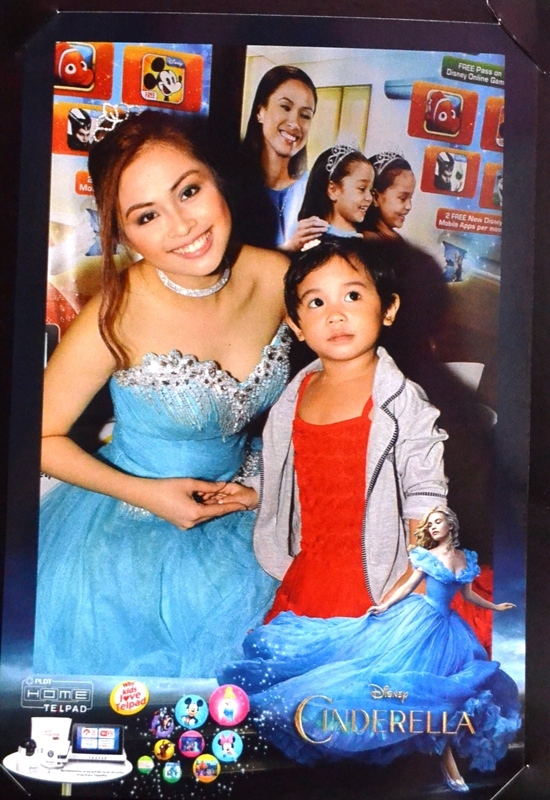 The PLDT Home and Disney Partnership was followed by a Disney Cinderella Movie screening at the Shang Cineplex where families enjoyed the great Disney family bonding treat. This latest offering allows PLDT HOME subscribers to access over 300 online games through the Disney Portal, which will be hosted in the PLDT HOME website www.pldthome.com. Kids of all ages can select from hundreds of interactive content featuring their favorite Disney characters. This is a great offer for kids! Most of the games that my kid played from Disney online games like the Mickey Mouse clubhouse games are friendly, educational, and instill good values. In addition, the new and current PLDT HOME Telpad subscribers will be able to download hundreds of Disney games and e-books by just clicking the Disney widget on their Telpads. That would mean bigger and better family bonding because the strongest connections are at home. Whenever my son and I are done with his homework and review, I let him rest then play games and read books. After a serious bonding from homework and review, playing Disney games or reading Disney e-book together are fun ways to make things lighter and bring kids enjoyment resulting to good mood. When kids are in good mood, it is easier for them to follow, behave, and finish their activities. These are something parents wish for their kids. So bring home the magic to your kids with Disney on Telpad.